Who is your authentic self? Not an easy question to answer when so many different voices or aspects of self vie for our attention. Knowing ourselves - at the deepest levels - is to know yourself as the three faces of self and mind. They all live within you - as you. The authenticity of self emerges as an interaction between these three aspects of self. The first and second faces of self and mind you'll read about below are subconscious. These are the conditioned self and the living self. The third face of self and mind the thinking self, which is the realm of the conscious mind. Each one of these faces of self and mind have their own unique qualities, capabilities and limitations. Taken together, they make up the totality of who we are. To know ourselves is to know these three faces of self and mind as they operate within. Authentic self emerges as an expression of this knowledge in daily life. The first subconscious face of self and mind is the conditioned self. You can become aware of this conditioned self ... you can become conscious of it ... yet it lives as subconscious conditioning within you. A dominant quality of the conditioned self (and the subconscious mind that houses it) is its impressionability. Conditioned self is readily 'impressed' by either internal or external influences. A thought, emotion, idea, or belief held long enough in mind - can impress the subconscious mind to become part of your conditioning. Actions, too, can deeply impress the subconscious mind. Repetition and intensity are the main gatekeepers to the conditioned self. When you repeat something frequently enough and/or upon exposure to intense emotions or experiences - conditioned self will have been influenced. You may be walking down the street on a warm and peaceful Sunday morning, when suddenly a dog jumps out of the bushes and bites you. You may have never feared a dog in your life, yet after this incident you can't see another dog without having an anxiety attack. This happens, even as you consciously know that the vast majority of dogs are friendly and utterly harmless. The subconscious, it seems, has a mind of its own. In this case your conditioned self didn't need repetition to be impressed and changed. The sheer emotional intensity and unexpectedness of the event was enough to leave a deep impression. Conditioned self is shaped through genetics and both internal and external influences. 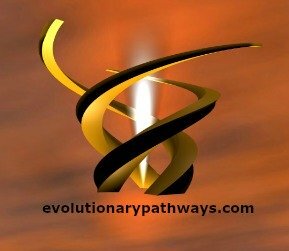 It continues to evolve and take shape as you walk your pathway through life. Yet, like a fingerprint it is also uniquely yours. There's no other conditioned self out there quite like yours. Conditioned self can be a great aid to authentic self expression when we work with it to eliminate hindrances. The first face of self and mind was our conditioning or the conditioned self. The second face of self and mind is the living self. This self, too, is dominantly subconscious. The vital functions of the body that keep you alive all fall under the jurisdiction of the subconscious mind. Your breathing, blood pressure, pulse, digestion, heart beat, hormonal secretion, nervous system and more, are all regulated by the subconscious mind. Thanks to the living subconscious you can go to bed at night knowing that your well-being - and life itself - will be taken care of despite your conscious absence. In contrast to the conditioned self, the living self has no shape or form. Its essence is a living intelligence. As a living intelligence this aspect of self and mind is fluid and free. It makes use of the habitual, conditioned self; yet itself, isn't confined or dictated by conditioning. The living self can't be impressed nor can its flow be arrested. While our conditioned self habitually reacts to situations and circumstances in life, the living self is always ready to respond. The essence of the conditioned self is re-active. The essence of the living self, pro-active. Conditioned self is defined by the past. The living self is present. As such, this living self - your living subconscious - is a major ally to authentic self expression. It is pristine life force itself, operating within you - as you. The first two faces of self and mind - the conditioned self and the living self - have one thing in common. They both operate below the threshold of conscious awareness. They are sub conscious, or in other words, instinctive. They don't require conscious thought or input to operate unencumbered and unhindered. The living self comes first. It has been with us from the very beginning. The conditioned self comes second. It starts taking shape already in the womb and continues to take shape and transform throughout our life. The thinking self, that is our conscious mind, arrives last on the scene. Somewhere around the age of two we begin to develop the capacity for abstract thought, which catapults us into a whole new realm of existence. Suddenly we acquire the ability to think about ourselves and life around us. Abstract thought introduces a space - a separation - the only thing that makes self-consciousness possible. Just as we need distance from an object in order to see it; so we need distance from ourselves for self-consciousness to take place. Abstract thought allows for that space. The thinking self is born. The thinking self is what puts human kind into a category of its own. While animals possess a conditioned and living self, they have yet to acquire self-consciousness. Only humans can think about the three faces of self and mind. As such, thinking self is part of our authentic self expression as human beings. Yet, it comes with its challenges to be sure! In fact, many (if not most) motivation and self improvement pitfalls can be traced back to our thinking self. It's this face of self and mind that allows us to get in our own way on the road to inspired life change. By trying to figure everything out in our head, we readily lose touch with the vital flow of life. We lose touch with the undercurrent of vitality that lives in the subconscious mind. We may even think so much that we become paralyzed - no longer able to move. Such a basic capacity lost to the death grip that thoughts sometimes have on us. A step out of the mind is needed. The warrior within must be found and heeded. The conditioned self, the living self, and the thinking self - the three faces of self and mind - combine to make up who you are. Aligning these three faces of self and mind to serve your nerve and sinew in the most beneficial ways is to awaken the warrior within. Authentic self expression, increasing vitality and well-being naturally result. Thinking self brings you to the path of inspired life change. It also keeps a close watch as you make your way. Conditioned self is used as your vehicle of authentic self expression as well as a tapestry for personal change and transformation. The living self, which is your truest inner self, supports you in ways both large and small as you travel the path. That's how you travel the path to inspired life change.